still call Australia home ? as picked by Darth - twas the union jack. Its a really big one. Look very recent and the paint looks fresh but evidentially its been stored away for a while. 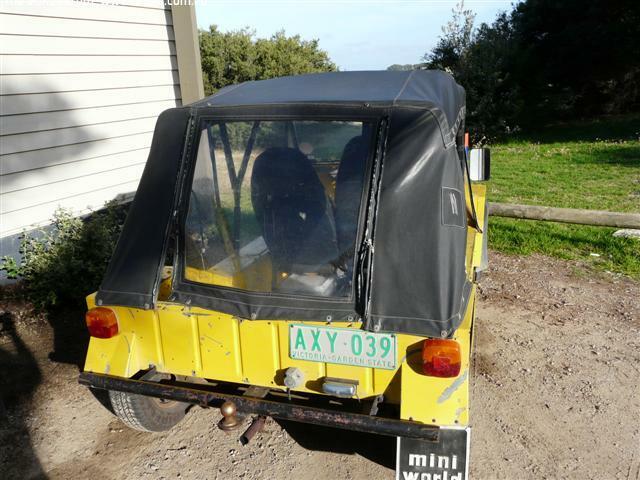 It has a old CFA sticker on the window and Tony said its been in Mooroolbark in the garage of who ever owned it. if your reading this, hi. 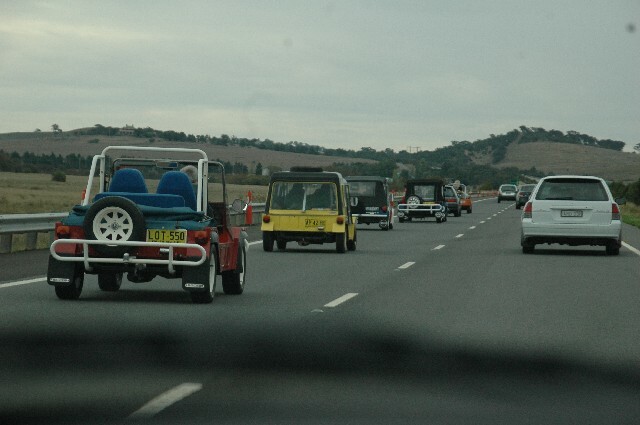 75% of all mokes made are still on the road, the others made it home. For all those from Mokefest that remember our random convoy member. Nice bloke but strange I tells you. His moke is pretty original from memory. He did say to me that he gets better times with the top on tho! So maybe he was in a hurry on this particular day - or perhaps didn't want his head getting burnt! Has anyone heard from Julian since Mokefest? Your right there Aimee, he did say that! I haven't heard from him and think i've lost his number. I did call him once the day we got home from mokefest and told him to join but hes not the most computer literate apparently. A mate lives on Bribie Island. 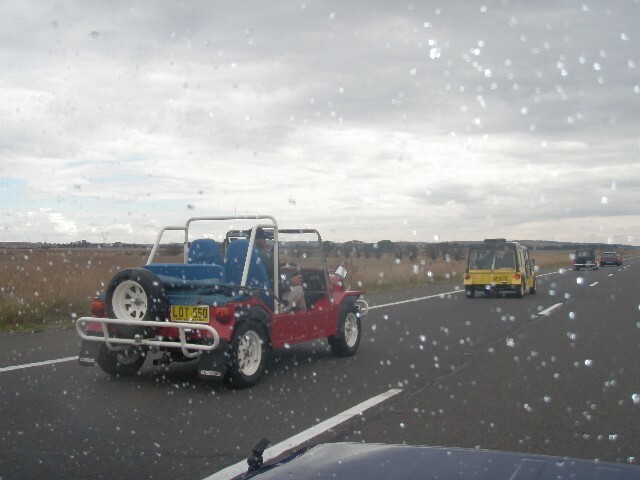 Over the past few weeks he has seen 3 different Mokes, a purple one, a white one and a red one. Anyone one here? He thinks the red one lives near Banksia Beach. Looks like Samm has the "Mug Shots" of mokes file. Just to revive a dead thread. 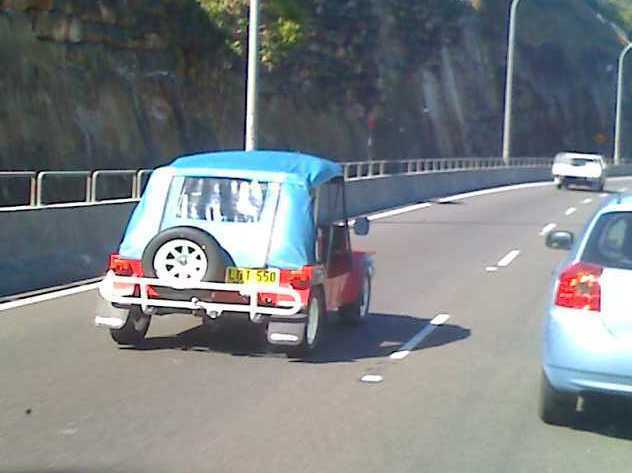 Saw a moke hidding behind a few cars in someones drive today. Its was in Wantirna just near me. just of sylphide way. 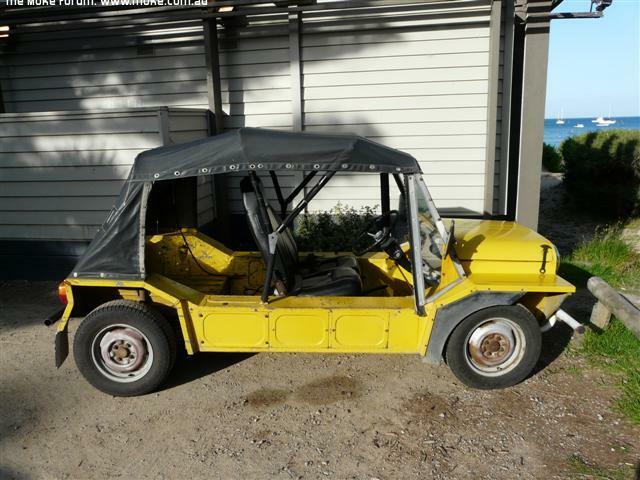 Saw a nice yellow moke near Aspendale yesterday with the plate "SMOK3N" ... could only see it from behind, but had a couple of guys with a surf board in the back .... anyone know it? I've also got a couple of diffenet mokes on my phone, but don't have to cord to get them off! Was out and about down Spudies way on the weekend and saw myself 3 Mokes. One at the Portsea Twilight Run, parked in the makeshift carpark. and my favourite was one i've seen before. I Purple one with the number plate HOPON.